It’s always safest to “Swim With The Lifeguards.” Look for lifeguards, when they are on duty, at Casino Beach, Park East, Fort Pickens Gate park and Quietwater Beach on Pensacola Beach and Langdon Beach and Opal Beach within the Gulf Islands National Seashore areas. 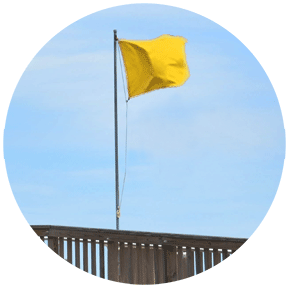 Looking out for your safety, the Santa Rosa Island Authority provides lifeguard services at the main beach on the Gulf of Mexico and on Quietwater Beach on Santa Rosa Sound. Full-time service from the first of June through August; part-time and weekend service begins mid-April, then picks up again for September. Hours are 9:30 a.m. to 6 p.m.
Surf conditions can be deceiving. There can be dangerous currents even on calm days. 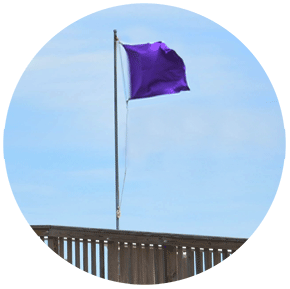 Call for the latest surf advisory at Pensacola Beach and the Gulf Islands National Seashore in the protected areas, and heed the color of warning flags flown at beach entrance and at all lifeguard stations. 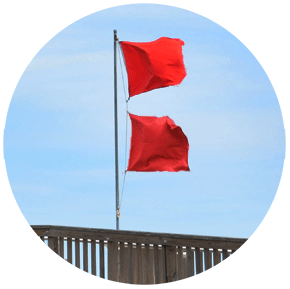 Rip currents and rapidly changing weather conditions can create dangerous situations if you are unprepared. It’s always safest to swim where lifeguards are present. And never swim alone. 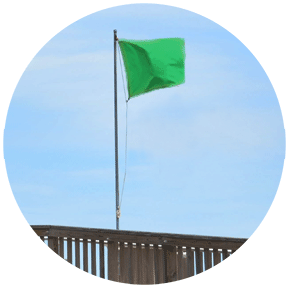 If caught in a rip current, do not panic! 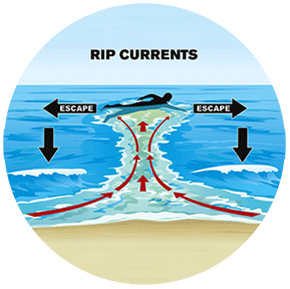 To escape a rip current – swim parallel to the shore, do not try to swim against the current. If the current is too strong, let it carry you farther away from shore. It will eventually weaken. Then swim back to shore at an angle away from the current. If an emergency occurs, always call 911. 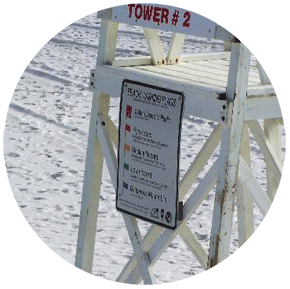 When heading to the beach, make note of the closest walkover number to your location. 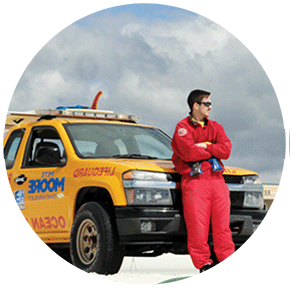 In an emergency, this will help emergency responders know the closest proximity.